In September 2017, we lost a man of great compassion and talent. 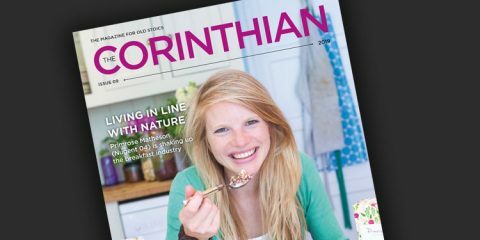 In many ways, he typified the ethos of Old Stoics in that his individuality, eccentricity, outspokenness, determination and immense charm were always very much in evidence – and wow, was he funny! 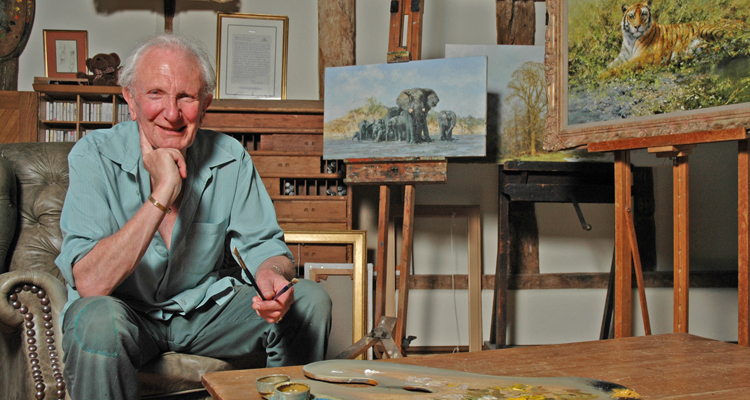 David Shepherd was arguably one of Britain’s most commercially successful artists. This is extraordinary when one discovers that, as a boy, he had no natural aptitude for the subject. In fact, he was turned down by the Slade School of Art, in London, who described his introductory painting Seagulls as, “Birds of dubious ancestry, flying in anatomically impossible positions over a bilious green sea.” Upon being shown this disaster-piece, the artist Robin Goodwin exclaimed, “Oh my God! Anybody who paints as badly as that I have just got to teach!” He promptly took the young David under his wing and helped him develop his instantly recognisable style. It was characteristic of David’s self-deprecating charm that he would take Seagulls with him to his ‘one man’ shows for the rest of his life – not, of course, for public display but readily to hand to amuse people and for very good reason – it was awful! I was introduced to David at one of his exhibitions in London by a mutual friend who knew that we were both Old Stoics. 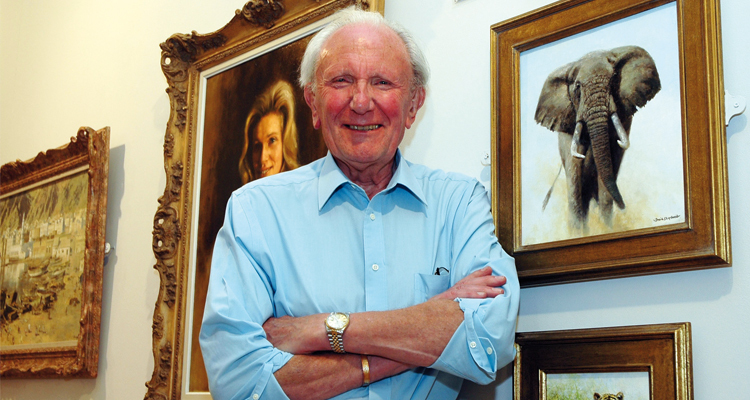 He proceeded to give my wife and I a personal tour of the exhibition whilst regaling us with anecdotes of his adventures in painting and wildlife conservation. 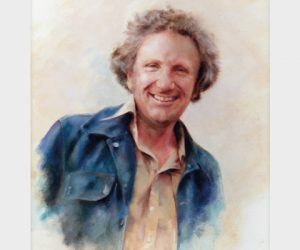 His enthusiasm for his subject was infectious and I was hooked instantly, not only by the detail and honesty of his paintings, but I also became a total convert to his conservation cause as well. Whilst he is famous for his wildlife paintings, David also included locomotives, aeroplanes and militaria in his oeuvre. 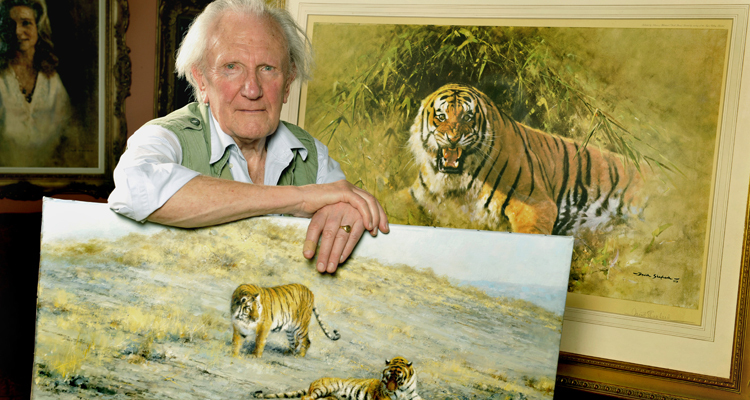 It was in the 1960s when he was in Africa at the request of the RAF, who had commissioned him to include some local colour in his paintings, that he became obsessed with the wildlife that he saw around him and which would soon elevate him to the top of his profession. It was at this time that David experienced a Damascene moment when he came across 255 zebra lying dead around a watering hole that had been poisoned with battery acid. This image was to haunt him forever and he vowed to devote his life to the protection of wildlife from the greed and callous irresponsibility of his fellow humans. 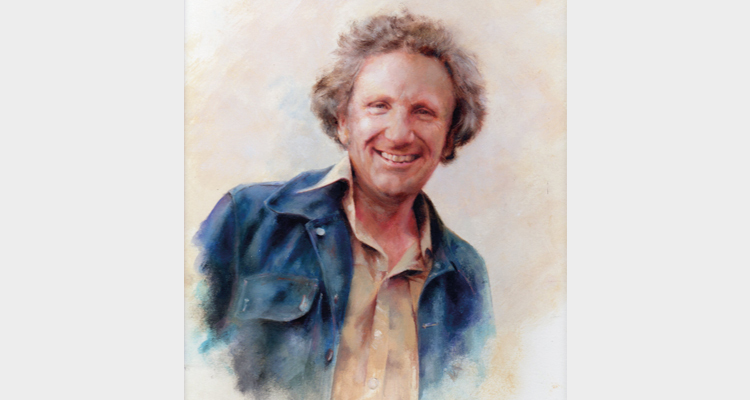 In 2011, we decided to honour our illustrious alumnus with a dinner at Stowe together with an exhibition of his work to celebrate his 80th birthday. 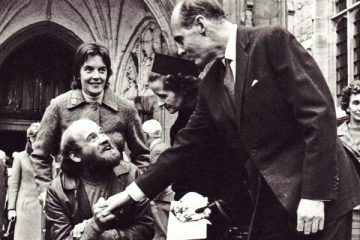 David was delighted to be acknowledged by his old school, which he loved and he was thrilled when, a few years later, the Headmaster made the DSWF the School Charity of the Year and the School succeeded in raising £4,000 from the sale of red roses for Valentine’s Day, amongst other activities, for the Foundation. One afternoon in 2014, another successful OS artist, Caroline de Peyrecave (Nugent 04) and I went to see David at his studio in Surrey, where he invited us to choose a selection of his paintings to be included in the Old Stoic Art Exhibition. Whilst he was showing us around, I remarked on a small painting that seemed somewhat out of character. It was a landscape of a river with a church and trees on the far bank. “Ah-ha”, said David, “I painted that in the 1950s and while I was at it a man walking his dog stopped to watch me. He asked if it would be for sale and so I told him to come back the following day when it would be finished – I sold it to him for £25.” David then told me that just a few years ago he was wandering around an antique centre when he recognised his little painting on one of the stands with a price ticket of £3,500. David recalled that he said, “I’d like to buy that but I’m not giving you that price for it.” The stall holder replied, “You don’t have to, Mr Shepherd. 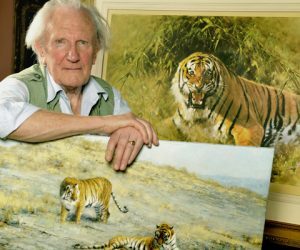 Just paint me a tiger and you can have it.” So, David got his original painting back and the dealer got an original David Shepherd tiger which was worth far more than the little landscape! 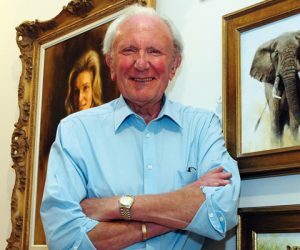 For all of his success, David did have his detractors amongst the artistic elite and the critics, especially as a quarter of a million prints of his most famous painting Wise Old Elephant were sold by Boots, one of which featured in Only Fools And Horses on the Trotter family’s sitting room wall – much to David’s vexation! He even got an unintentional rebuff at Stowe when having attached himself to a National Trust tour group, which heading towards the Library, stopped in front of the Headmaster portraits. 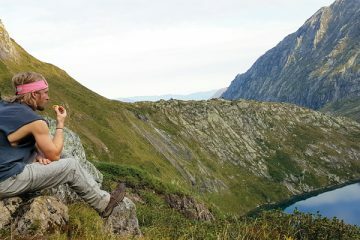 The guide chatted about the early ones and then dismissively said, “Anyway, enough about that. We won’t bother about the later ones”. At which point an indignant David shouted in a pseudo cockney accent, “Oi mate! I painted those!” consequently covering the unsuspecting guide in confusion and embarrassment. 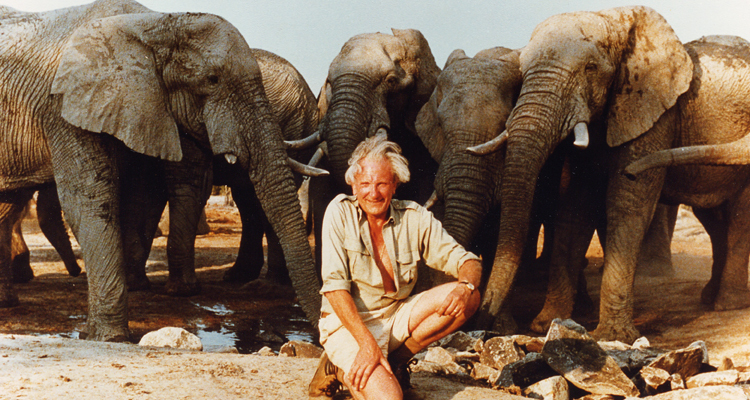 David’s tireless dedication to the conservation of his beloved animals became infectious. 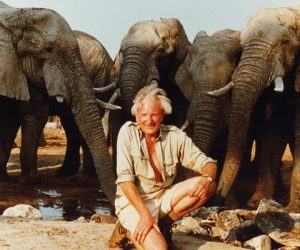 One only has to attend the regular fundraising events held by the DSWF to see just how much he was loved and respected, and to be impressed by the sheer number of celebrities, academics and other illustrious types who have been captivated by David’s total passion and who are now dedicating themselves to his cause. 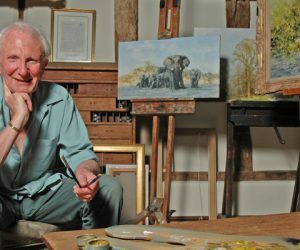 David’s family are all involved with the DSWF and his artistic talent lives on through the work of one of his daughters, Mandy, and one of his granddaughters, Emily Lamb, both of whom donate proceeds from the sale of their works to the Foundation. 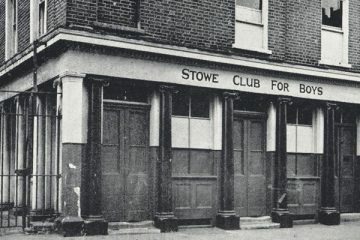 David’s love for Stowe remained with him for all of his life. He told me that every time he passed through the gates and crossed over the Oxford Water a cloak of peace and tranquillity enveloped him and I know exactly what he meant – don’t you?